So this year’s challenges are over. Mixed… Adramble didn’t go quite so well. I’ve certainly paced the streets more, and I got the whole thing online but I haven’t thrown all of my effort into getting it off the ground. I’m not sure whether I will this year, but perhaps. Yes sir! I certainly have taken more photos, mostly thanks to the new phone. I’ve saved my favourite 23 here. 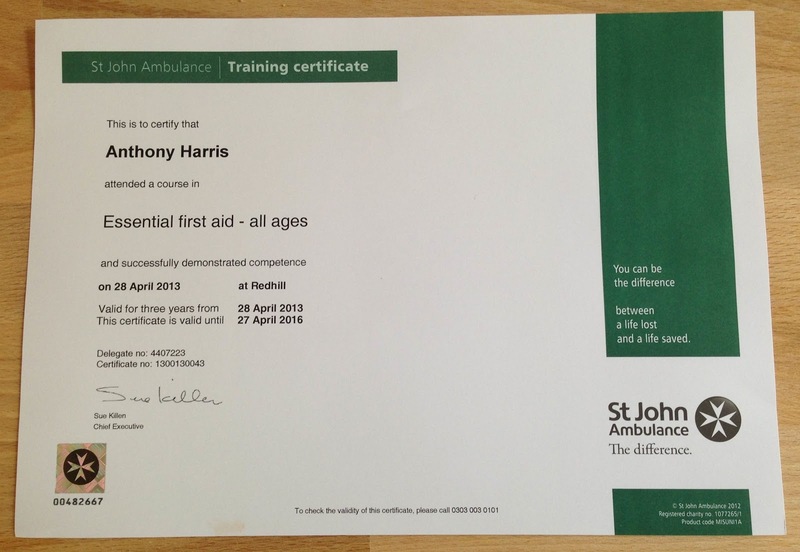 I’ve went on my first ever first aid course, which was great fun. Hosted by Sally-Anne of St John – it was a right hoot. Highly recommended. I should probably now say that all of the above almost certainly wouldn’t have been possible without Wist’s help. But more than that, it wouldn’t have been nearly as much fun either.